Home Entertainment News Star Actress, Ronke Oshodi Oke Lands Multi-million Naira Endorsement Deal! Star Actress, Ronke Oshodi Oke Lands Multi-million Naira Endorsement Deal! 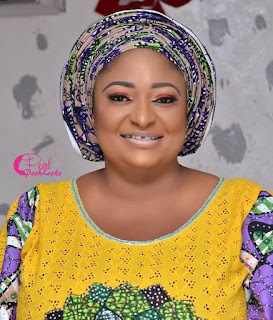 That, these are definitely the best of times for beautiful Yoruba actress, Ibironke Ojo better known as Ronke Oshodi Oke, is like stating the obvious. This is because months after she opened her beauty palace at Yaya Abatan, Ogba, Lagos, which has been keeping her so busy, the very intelligent Ronke has landed herself a multi-million Naira endorsement deal. According to eye witnesses, who were at Ikeja Airport, Lagos, yesterday 19th, March 2019, where the deal was sealed, Oshodi signed a year contract worth millions of Naira as a brand ambassador of Ready Stews, one of the new products manufactured by Kaptain Foods Limited. Kaptain Foods Limited is a food processing company, with its flagship product being the Ready Stews. The product is made up of fresh tomatoes, pepper, onions and local spices. The products have been conceived as a way to increase cooking convenience for households and food businesses, particularly in urban areas like Lagos, Abuja and Port-Harcourt. For your information, The Company has made significant investments in setting up the processing factory in Lagos, from where it’s unique and innovative ready-to-eat product is processed and packaged. Hence, the introduction of the research-based, ready-to-eat Ready stews is processed with state-of-art equipment in compliance with internationally recognized hygiene standards. The products contain a secret condiment that will be unique and will not have chemical preservatives as the ingredients will serve as preservatives. Kaptain Foods is located at Ajao Estate, Ikeja, Lagos and the product is certified by NAFDAC and tested in ISO certified lab in Ghana.